When I was in high school, one of my friends and I created a scavenger hunt list and invited friends to collect the random assortment of things one night. I don't remember much of the list although I know we put a bouquet of flowers on it because we wanted flowers. And I remember going to the grocery store to buy Spam and condoms. I don't remember now if it was the items or the combination listed on the receipt that was so funny to us but I do still remember the look on the cashier's face when we ran up to her till with these two things, giggling madly. The last thing I remember from the list was one of the letters (it might even have specified our first initials) from the movie marquee but if I recall correctly, no one managed to snag one of those. It was a mostly innocent (we were asking people to steal those letters), fun, only partly planned party and I wonder if anyone else remembers it. I've never been on a scavenger hunt as an adult and I don't know if I could do one that sent me back to one particular summer with a friend but it sure is an intriguing idea. 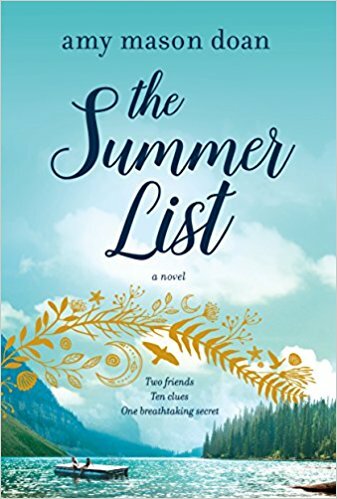 In Amy Mason Doan's novel, The Summer List, two long estranged friends reunite on a scavenger hunt designed by the mother of one, in order to repair their friendship and to reveal a major secret. Laura hasn't been home in seventeen years when she gets an invitation to one last scavenger hunt from her former best friend Casey. She is torn about going, still harboring the hurt that made her run away from Coeur de Lune so many years ago. But something compels her to go back. When she discovers that Casey received a letter from her asking if she could come visit, the two women, distant and wary, realize that Casey's free-spirited mother has forged the letters to both of them and engineered their weekend. Alex has even left them a scavenger hunt that forces them to revisit the scenes from their high school years, promising to reveal something to them only at the end of the successful hunt. Laura, the one who ran without an explanation, narrates the story. As she and Casey go each place that once meant so much to them, she flashes back into the past, telling the story of their friendship and why the place they are sitting holds so much meaning. She also holds onto the thing that made her leave even while she wonders if there's any way to repair their friendship. Casey's upbringing was unconventional, her mother a single mother and artist who seemingly wanted nothing more than to be a kid like her own daughter. Laura, on the other hand, grew up in a very strict, religious household, the adopted daughter of much older parents. Laura and Casey's friendship was not only controversial but always in danger of being squashed by Laura's mother. But it was also the thing that saved Laura and gave her a different view of the world, even if it meant she was always a little bit jealous of her best friend. Can the memories of the past repair the present? And just what is the secret Alex says she'll reveal at the end of the hunt? The focus on Laura as the only narrator allows the reader into her head and to see what her fears are. Since she knows why she ran, she doesn't dwell on it, which keeps it from the reader longer than might be expected. This narration also keeps present day Casey and her thoughts as unknowable to the reader as she is to Laura. The main portion of the story line is the past and what led up to their estrangement and the scavenger hunt is a device to get them to each place so Laura can remember and a reminder of the scavenger hunts that Alex created for the high schoolers those last few summers. In addition to Laura's narration, there are brief italicized sections that tell the story of a girl named Katherine and the summer that her mother joined a strict church, sending her young teenaged daughter to church camp. These sections become very important to the story in a way that slowly becomes clear to the reader but in the beginning they feel like an intrusion on happy, positive memories. As they become more integral to the over all story, the tone shifts and the novel becomes darker and less nostalgic. The journey to Laura and Casey being ready to hear the secret Alex wants to finally share is laden with emotion and yearning. The tale of the girls as teenagers is wonderful and relatable while the present day characters are filled with tension and are less universal feeling. The novel is perfectly titled, giving off the feel of summer and friendship and reconnecting. You'll want to read it beside a lake of your own. 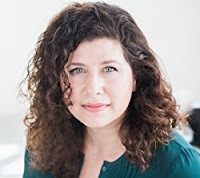 For more information about Amy Mason Doan and the book, check out her webpage, like her on Facebook, and follow her on Twitter or Instagram. Check out the book's Goodreads page, follow the rest of the blog tour, or look at the reviews for others' thoughts and opinions on the book. Thanks to Lisa from TLC Book Tours and Graydon House for sending me a copy of the book for review.